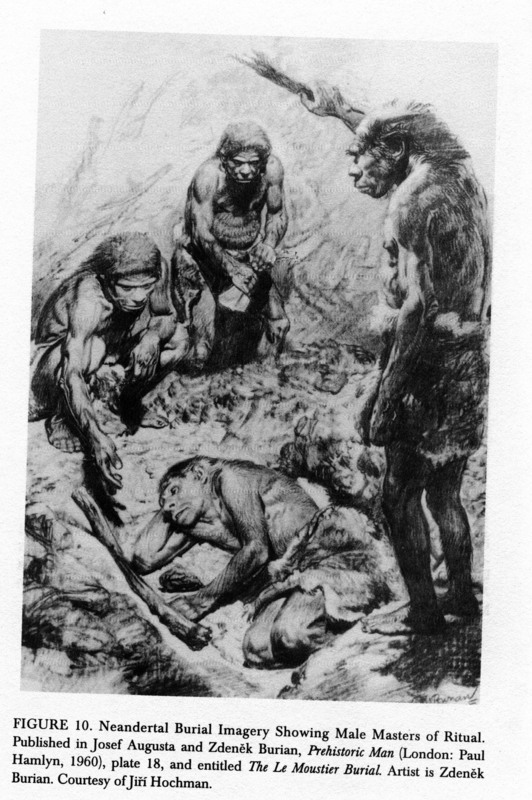 Which aspects of these illustrations are based on known facts of palaeoanthropology/archaeology? Which are extrapolated? Which are completely invented? - but! 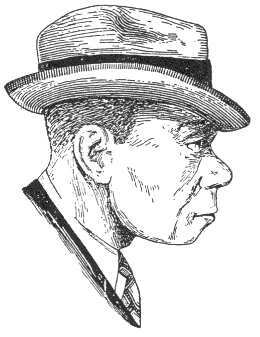 in reconstruction drawings for the public: eye colour, skin colour, amount of hair, hair colour, hair style, facial expression -- all are extrapolated. 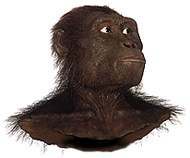 When we consider reconstruction images (drawings, film) of hominids 'in their social/natural habitats', we see even more areas of extrapolation and invention. 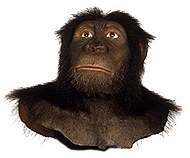 Right: Sculpture by John Holmes, done for the American Museum of Natural History in the 1990's. 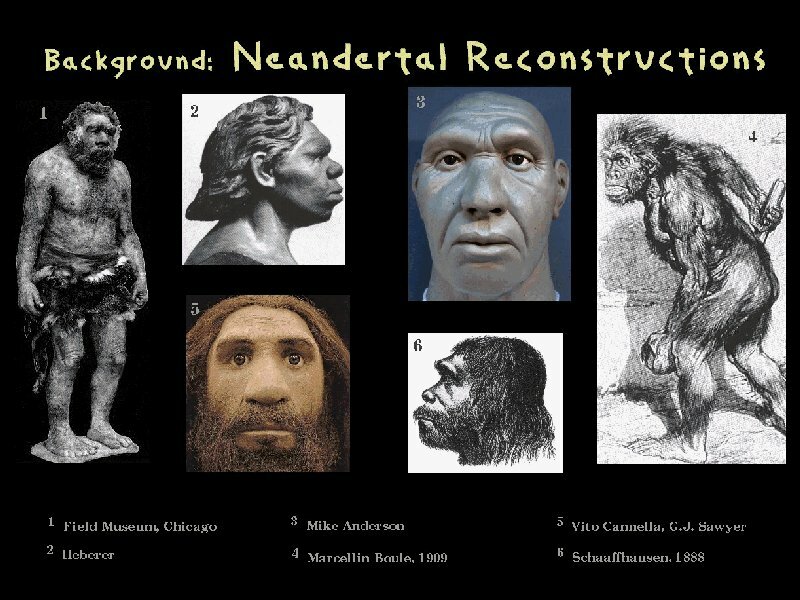 Archaeology scholars S. Moser and M. Wiber have examined these kinds of reconstruction illustrations and have noticed several key themes. 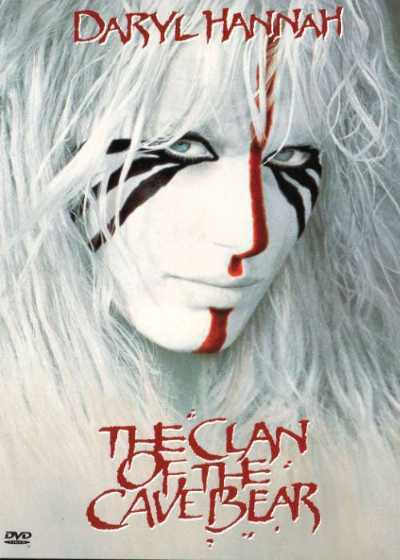 - there are 'icons' which tend to be present in these images, signifying 'primitivity' and a separation from us: spears, clubs, skulls, long hair, etc. N.B. 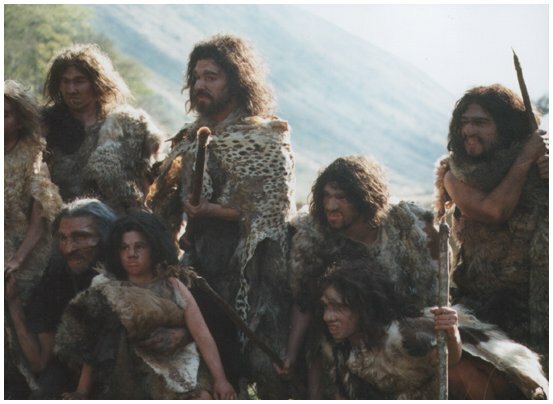 Links to traditional ideas about whether civilization is better or worse than the original human lifestyle: Hobbes vs. Rousseau, "Hard Primitivism" vs. "Soft Primitivism", ascent vs. descent, the "real" human nature, etc. - representations tell a story all their own… about how things were, how things are, and how things should be… and this story often reveals more about the person telling it than it does about the past! 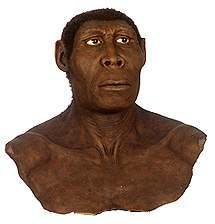 - but archaeological research endeavours to give us representations that are carefully analyzed and based on data… not just made up! 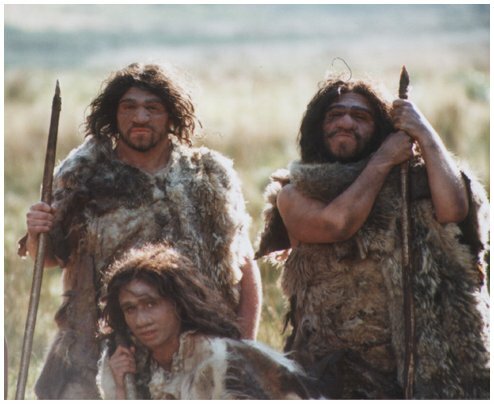 Judith Berman's article, "Bad Hair Days in the Palaeolithic" makes it clear that we DON'T have much evidence for the details of their appearance, but that we DO have some very old, traditional ideas about "wild men" and what hair signifies, nature vs. culture etc. 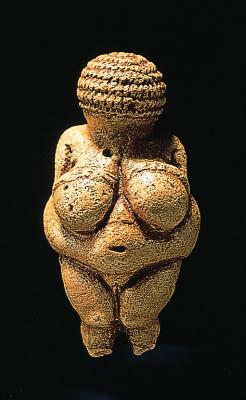 Dame de Brassempouy, 23 000 BP, Ivory, Musée d'Antiquitées Nationales, France. 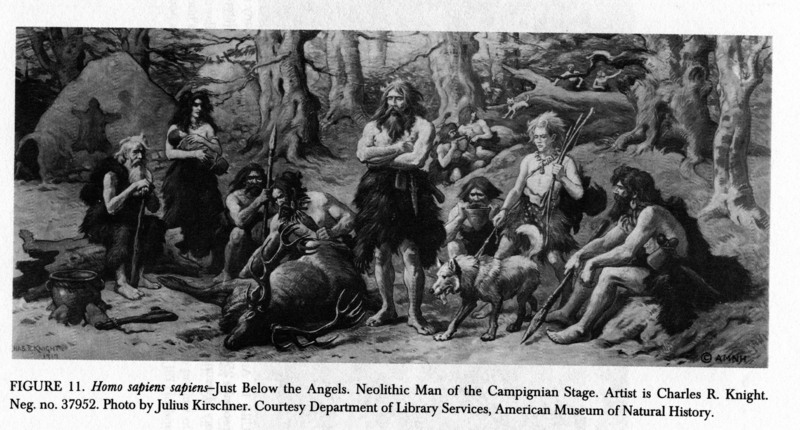 SO HOW ARE ILLUSTRATIONS OF PREHISTORIC PEOPLE CHANGING NOW? ARE THEY RESPONDING TO EVIDENCE? Work of scientific illustrator Jay Matternes, from the October issue of Science 81 . ....but the standard old icons and themes are often still present. 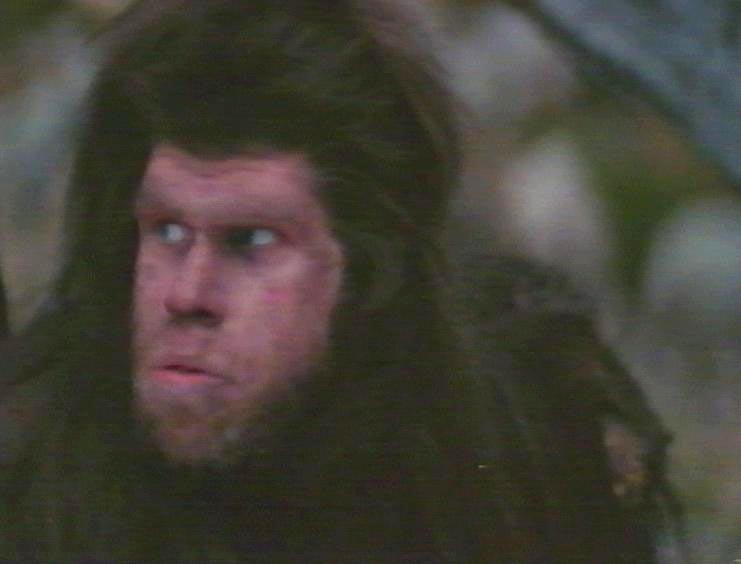 Channel 4, UK, recent series on Neanderthals -- reasonably good facial reconstruction, but many of the facial expressions and all the icons (hair, spears, furs) are the traditional 'caveman' equipment. 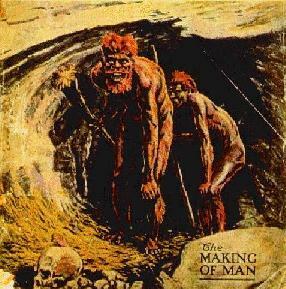 Some of this is quite reasonable (they did have spears and live in caves, etc.) but some is extrapolation. 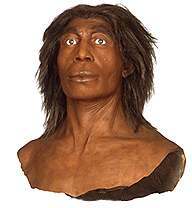 Recently, there has been more interest in Neanderthal females and children. 2001. 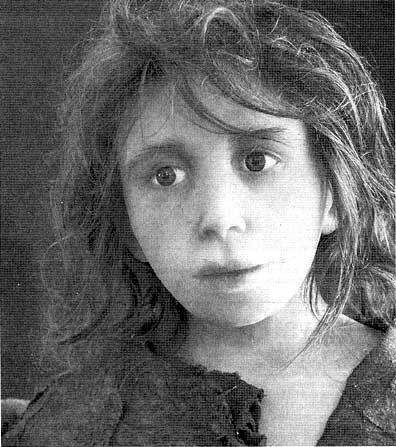 Neanderthal child, computerized reconstruction. 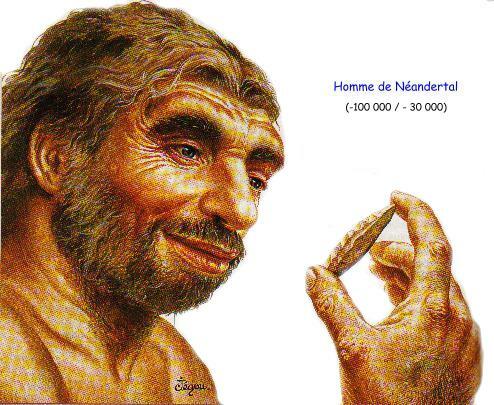 A rare image of a Neanderthal looking friendly, thoughtful, and coordinated! e.g. 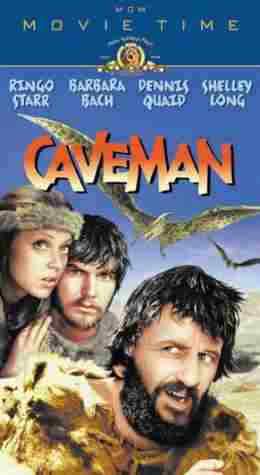 Many fantastic 'prehistoric' films: Clan of the Cave Bear, Quest for Fire, Caveman, One Million Years B.C., etc. 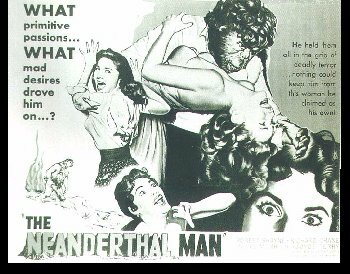 Video Ad: "Nuclear holocaust has destroyed the world as we know it--and now the future of humanity is in the hands of TEENAGE CAVEMAN"
Some of this extrapolation is reasonably based on information about anatomy etc., but much is rather tenuous. Moser, Stephanie and Clive Gamble. 1997. 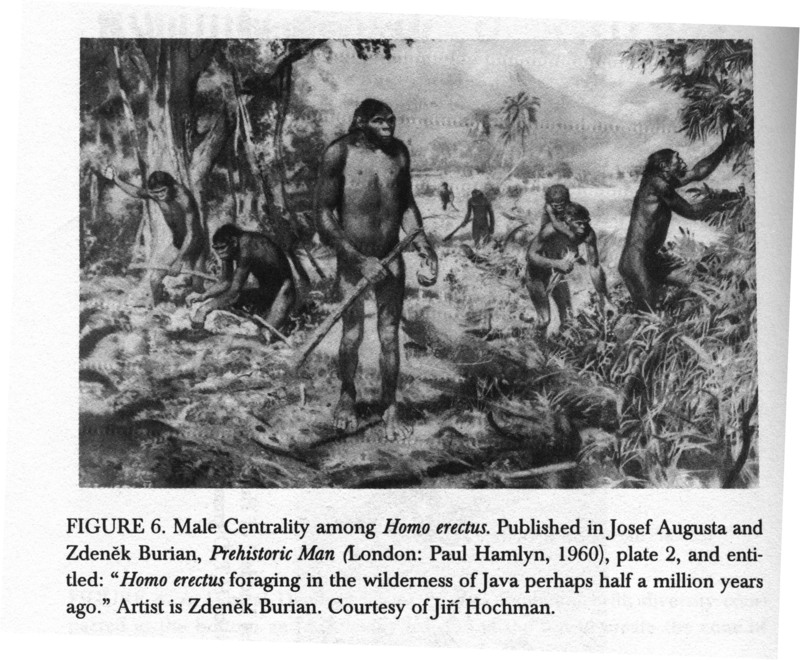 “Revolutionary Images: The iconic vocabulary for representing human antiquity.” In B.L. 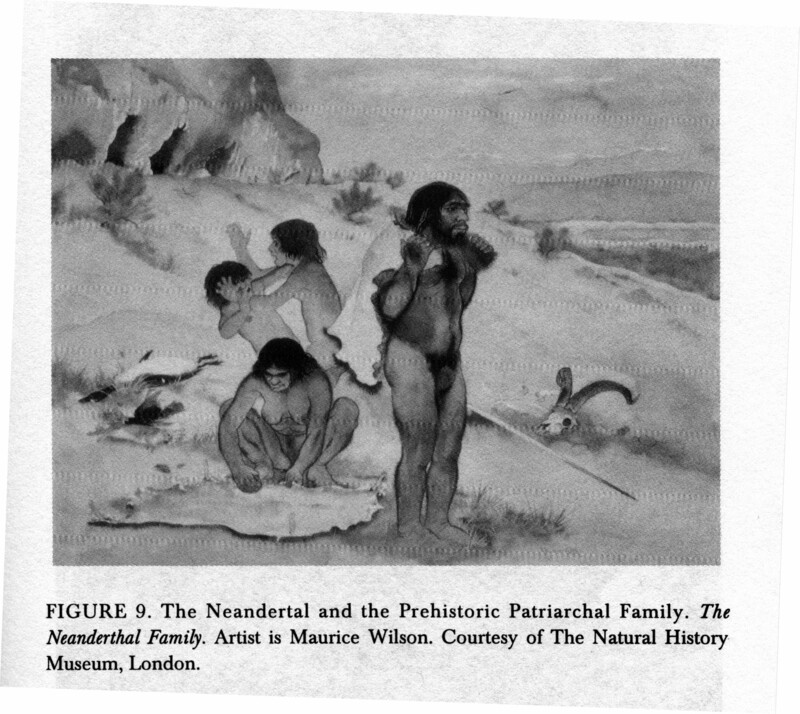 Molyneaux, ed., The Cultural Life of Images: Visual Representation in Archaeology. London: Routledge. pp 184-212. 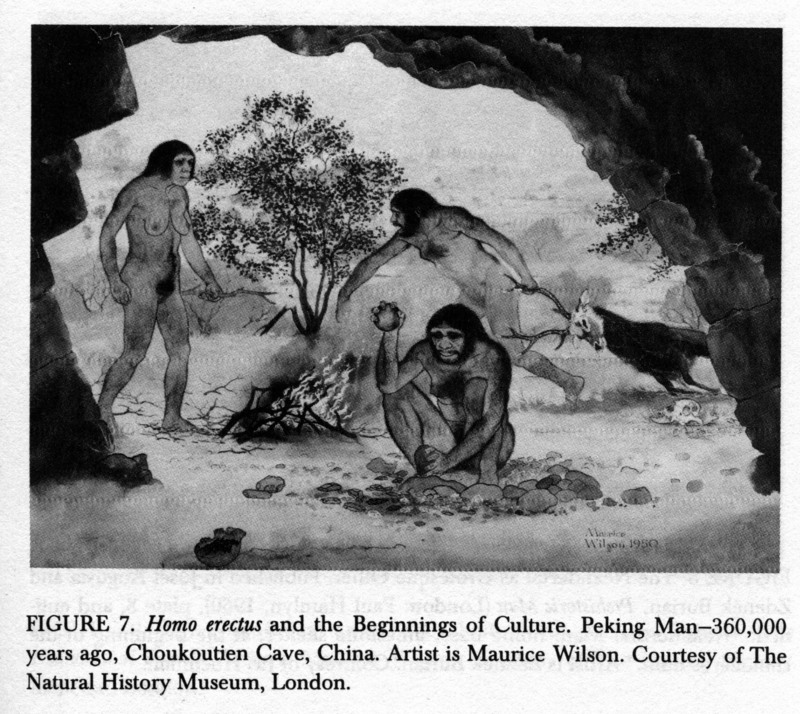 Moser and Gamble examine “ visual representation of archaeological knowledge, and in particular, the role of illustration in the study of the Palaeolithic” (1997:184). 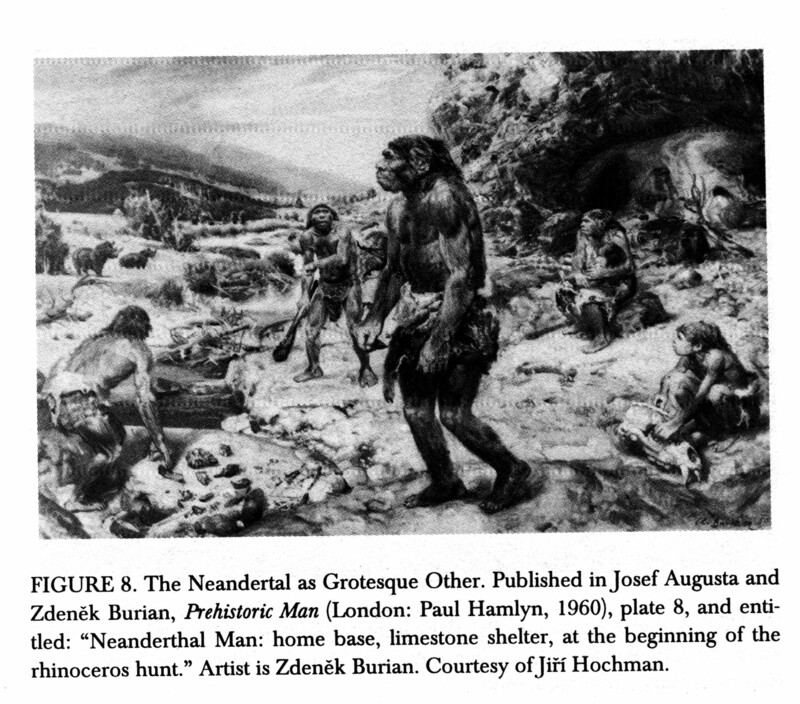 They “conclude that there is a very restricted iconic vocabulary for depicting the past” (1997:184). 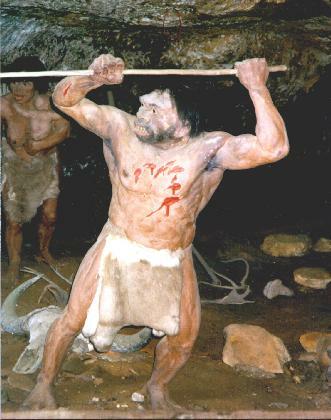 Common icons include: the cave, oversized flat and pigeon-toed feet, the club, body hairiness, stooped posture, docile expression, long head hair, stone tools, thick neck, animal skin garment, and crevasses (1997:187, 188). 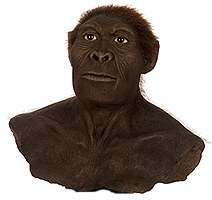 - “On one level reconstructions are faithful to the scientific data and arguments, making every effort to be accurate. However, on another level they have a life of their own…” (1997:186). 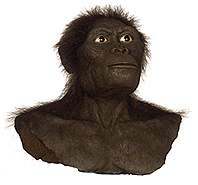 - origins of the iconic vocabulary are very old, e.g. Classical, and predate archaeology as a discipline (1997:206). 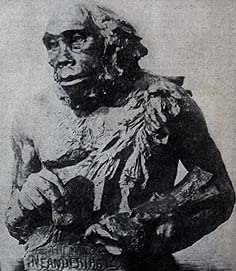 Further expansion of the repertoire came with evolutionary theory (207). 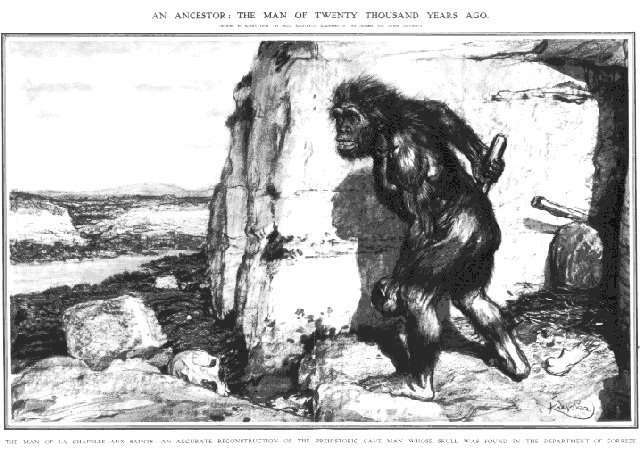 - even archaeologically depictions of the past use this old iconic repertoire; visual imagery is so powerful that one cannot escape it, even when attempting to be as accurate as possible (209).